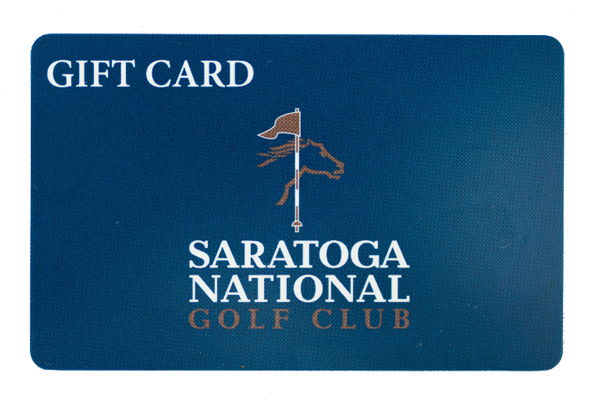 Saratoga National/Prime Gift Cards can be purchased in any amount, and are good for Greens Fees, Golf Shop Merchandise, and even dinner or cocktails at Prime! You can have the Gift Card shipped directly to the recipient with a Gift Message, or have it sent to you to give to the recipient in person. Gift cards are sent First Class via USPS and arrive within 4-5 business days. Gift Cards never expire, so you can be sure it will be used. What could be easier?